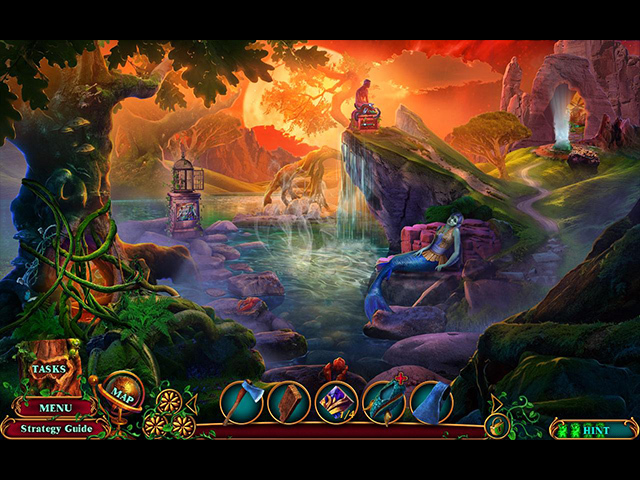 Domini Games, makers of the much beloved Labyrinths of the World series, brings you a sensational new series in Spirit Legends: The Forest Wraith! 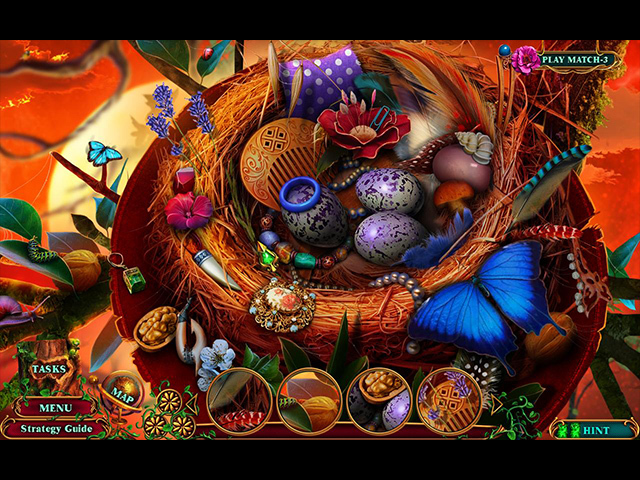 Find out what happens next in this exhilarating Hidden-Object Puzzle adventure! The ancient fire spirit Amalan has awakened, and you and your sister must save the world’s water from his fiery vengeance! Unlock extra content as you complete your Magical Seed, Butterfly, and Morphing Statuette collections, add Achievements, and replay HOPs and mini-games! Download original videos, artwork, and soundtracks! 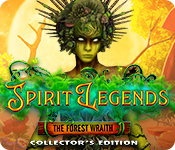 Spirit Legends: The Forest Wraith Collector's Edition is rated 3.4 out of 5 by 18. Rated 5 out of 5 by jcvanhal from An excellent game comparable with the older games At last, Domini Games released a lengthy game comparable with games released 5 to 6 years ago. A lengthy game with a long Bonus Chapter. New inventions in the Hos.The Dev's have outdone themselves. Brings back memories of the excellent games that we have not seen anymore for the last 3 years. I fullheartedly recommend this game. I do not rate music. I play with the game music turned down and have my Audio system playing classical music. But visuals are excellent. Rated 5 out of 5 by bmn5772 from What A Wonderful Surprise!!! This game has it all. The graphics are amazing and the music is beautiful. I played a bit of the demo and purchased for a great Black Friday price..........thanks BFG! Rated 4 out of 5 by LobsterMann from The minigames are ridiculous I liked the game. Colorful bright but I think I got one minigame in 90 minutes of play. I did not understand what to do. Also I do not know if I gound all the little faeries in each tableau, I felt lost. Rated 4 out of 5 by dancemom1 from Defeat the beasts! Hello friends! As usual, I review mostly on the game play and leave the story line to others. A new game for a change! Graphics in this one are the usual with this Developer. A lot of blurring when going in and out of close up scenes. Very nice animation, very realistic facial movements. Colors are bright, almost too bright in some areas, but still quite nice. Voices are well done, with anger, fear, pain, etc. We have lots of beasts in this game, but nothing really jumps out at you, in an attempt to scare you. Music is okay and does not interfere with the game or voices. Sound FX were nice for the most part. I did notice that in a few places, things that should have made a loud noise did not, e.g. when the first beast jumped onto the ground. There should have been a loud thud, but barely anything at all. There were some nice background sounds. HOGs were a little disappointing. All we had were highlighted words. Some are good, but not throughout the entire game. We could switch to a match 3 game instead, but that gets old quickly as well. Most scenes were fairly clear and items were not difficult to see. Puzzles were simple, but did take a little thought to complete. Hint system is helpful and we do have the transport feature. We do a lot of back tracking, so this is a good feature to have. Of course, we have the perfect map. Areas are identified by picture and name, and it shows us if we miss a collectible. You can switch that helpful item off for more challenge. You can also decide whether you want easy or hard puzzles. This can be done either through custom mode in the beginning, or during the puzzle play. Nice to have a choice. Collectibles are quite well done. We have 15 flower/plant seeds to find, which aren't that hard to spot, but you do have to look for them. We also have 15 statuettes to find. This is a little challenging, as they morph, but still not difficult to find. The most challenge here is finding the 70 butterflies. These can be anywhere and most do not jump off the page at you. Just remember to look for them. Been waiting for this one to come out. Even the blurry graphics didn't stop me from wanting this one. Story is different and well done, with plenty of action to keep you busy and wanting more. However, I did have to laugh in the beginning, when our heroine is reading the letter. Those were definitely not the hands of a woman holding that letter. Still, I gave this one a 4.5. Downgraded a bit, since the Devs didn't pay attention to the beta review and clean things up a bit. I like this game, and have the need to play it out and see where it's going. I think most all levels of players will like this one. Yes, I am adding it to my collection of CE games. As always, try it for yourself and see what you think. We all have different tastes in games and you may not care for this one at all. Thanks for the reviews. Play on! Rated 4 out of 5 by pennmom36 from WE'RE NOT OUT OF THE WOOD YET! Florena the evil Spirit Witch has been neutralized for three years now. Your father Adam bound her with three locks, but unfortunately, not before she destroyed your mother Evelyn. Adam divided the three keys to assure Florena would never escape to wreak havoc upon another family ever again. Ever never lasts forever, and Florena has just been unleashed to wreak havoc upon all of humanity. Who would do this and why? The bigger question is how to stop an evil witch that can turn forest creatures into monsters? We don't have a Magical Glasses Gadget, but, we still have to endure a Gadget that seems to be the norm for Domini Games. 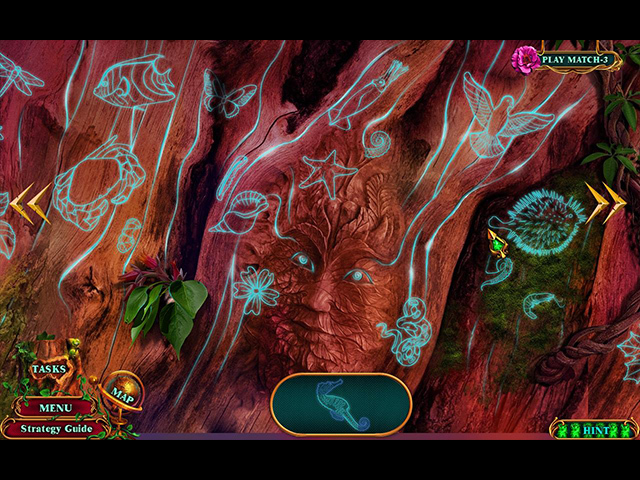 Because this is a Fantasy-based genre, there are several Hybrid Forest Creatures encountered during the adventure. The family Bestiary Book will destroy the beast within and change them back into the harmless creatures they were before Florena cursed them, after playing a mini-game of course. I thought it was funny that I deemed a grizzly bear inside the house as perfectly harmless now that he didn't have antlers? :-0 The Hidden Object Scenes aren't very creative and were the reason I deducted a Star. They are all Keywords in Sentence finds and very simplistic at that, but I suppose it's intended to get newbies onboard the HOPA train? A few of them did have an extra portion of Silhouetted Shape finds or Multiple finds after the Keyword sections, and there is an alternate Match 3 Game available, but I wasn't that crazy about these particular Match 3 games either. The Mini-Games are available in Easy or Hard Modes, and in the Custom Settings Mode, you can choose which mode to start each game (you can still switch to the opposite mode during each mini-game) Below are brief descriptions of some of the games available during the game, to give you an idea of what to expect: 1-Select the correct symbols that are shown on the scroll, selecting 1 may affect others. 2-Swap tiles to complete color-coded connections on a honeycomb grid. 3-Jump tiles on a star grid to remove until all but one tile remains. 4-Use directional arrows to guide the silver ball into the silver slot. 5-Restore the stained-glass by adjusting set points to place pieces correctly. 6-Arrange figures according to how many horns they have selecting 1 may affect others. 7-Guide the ship to the exit using directional arrows and obstacles as bumpers. 8-Guide the sphere to the energy slot using color-coded portals. 9-Color dots according to the numbers shown on each grid square. 10-Swap figurines according to the engravings. This Collector's Edition version has 15 Wallpapers, 20 Concept Art pictures, 5 Music Soundtracks, 37 Movie Video Cutscenes, 21 re-playable Mini-Games, 18 re-playable Hidden Object Scenes, 33 Achievements to Earn, 16 Collectible Magical Seeds (grow into plants with descriptions) 15 Morphing Animal Statuettes (gives a brief description) 70 Hidden Collectible Butterflies (allows you to purchase 15 Butterfly Garden Items) 6 Main Chapters +Bonus Chapter and a built-in Strategy Guide, enjoy, while humanity still exists!